1. Preheat oven to 350 degrees. Add gnocchi to boiling water and cook until gnocchi floats (3-5 minutes). 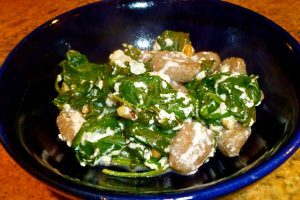 Place spinach in a strainer and pour boiling water (with gnocchi) overtop to wilt spinach. 2. 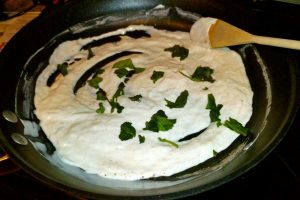 In a large oven-proof saucepan over low heat, stir together the yogurt and mustard. Add the parmesan cheese and basil. Cook and stir until you have a smooth sauce (3-5 minutes). 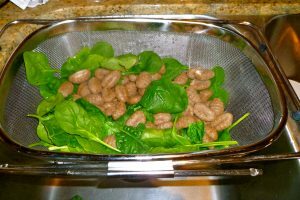 Add the nutmeg, gnocchi and spinach and cook for an additional 2 minutes. 3. Add mozzarella cheese and place in oven. Bake for about 5 minutes until cheese is golden. 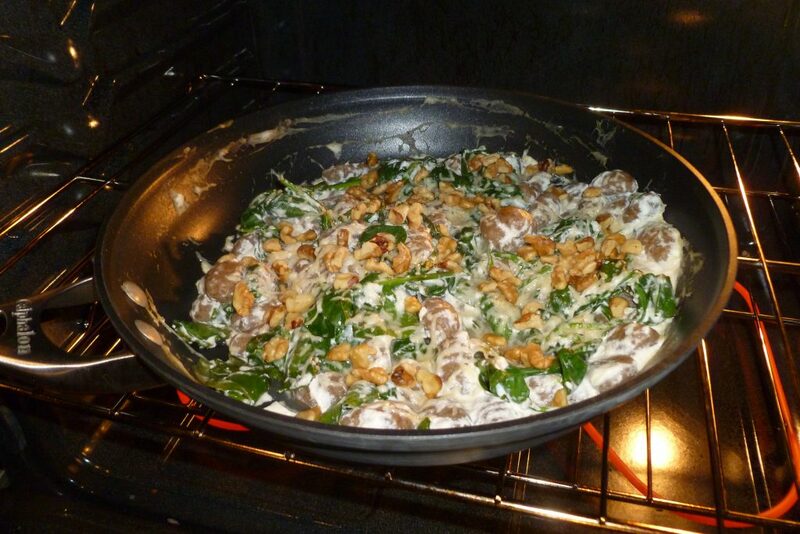 Top with walnuts and bake for another 2 minutes.